How often do you absent-mindedly key in your PIN number without really checking the amount, let alone scouring your conscience about whether you should be making this purchase in the first place? Habit is the enemy of ethical shopping. Buying God, by Eve Poole, which will be published this summer, sets out a new framework for consuming with a conscience, underpinned by a theology of consumerism that encourages us to look at our consumer activity in the round, in order to audit it for ethical health. Consumerism has the potential to lead us away from God, but the purposeful re-directing of our consumer power could well sow the seeds for a fairer marketplace for all. The book includes a prayer that consumers might wish to use before they go shopping, but we’d also like your help in writing a short ‘arrow prayer’ for when you key in your PIN number at the checkout or cash machine. We think it would work best if it is a word for each digit as you enter your PIN, something like “God Bless This Spend”. The winning 4-word prayer will be used in the publicity of Eve’s new book, and the winner will receive a signed copy of the book on publication. To enter, tweet your 4-word prayer using the hashtag #BuyingGod and we’ll ask Eve to select her favourite. Alternatively, you can send your ideas to David.Shervington@hymnsam.co.uk. But be quick – the competition ends at midnight on 15th June. In the next in our series marking the 40th anniversary of the publication of Christianity Rediscovered, Andrew Dunlop reflects on how the book influenced his work as a pioneer on a new-build housing development. In many ways Vincent Donovan was ahead of his time. When he arrived in Tanzania as Catholic missionary to the Masai people in the late 1950s, Catholic missionaries had been present in the region for over a hundred years, yet the gospel had not meaningfully impacted the culture. They had focused on building mission stations, schools and hospitals, which had the effect of taking local people out of their context for education, or in ones and twos. Whilst individuals converted, the culture was left mostly untouched. Donovan embarked on a fresh approach, deciding to visit each tribe over a long period with the sole purpose of explaining the gospel to them. He spent over a year with each one. With the permission of the chiefs, he addressed whole tribes en masse, teaching them on a weekly basis. He would regularly mine local stories and cultural practices to find the right words and illustrations to ensure the message could be heard and understood. In some cases, as he talked and listened, they ended up teaching him about God. Once he felt he had explained all that he could, he gave each tribe the opportunity to respond to the gospel, which they tended to do as a group. Most tribes responded positively and became Christians, with only one or two rejecting the faith. He then moved onto the next Masai tribe to start the process again, leaving each to contextualise the patterns and structures of worship for their own tribe, revisiting only occasionally to celebrate mass or give some direction. This approach was vastly different to that which the previous missionaries had followed. 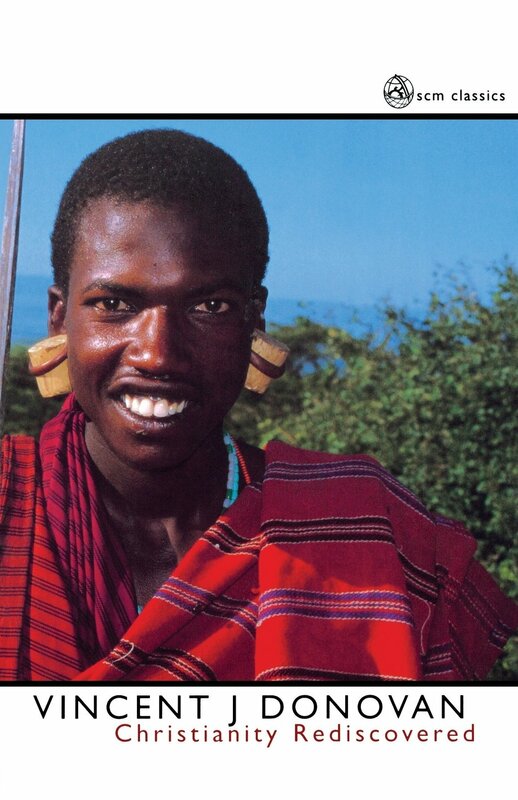 They had hoped that by taking the Masai out of their own culture and educating them, they would be able to return to their tribes and impact them for the gospel. Maybe this happened, but the overall culture of the tribe was untouched. The result was that those who had come to the mission stations to be educated were taught a Europeanized form of Christianity, making it very hard for them to be accepted when they returned. The ecclesiology of the sending culture was alien to the culture of the tribe. Donovan’s approach let the gospel do the talking and shaping of the culture. The thing to note here is that Donovan did not impose ecclesial forms on the tribes he evangelized; he was not worried about how they worshipped, only that the gospel was heard and received. He allowed worship to develop from the culture organically, and because of that, their faith stuck. When I first came across this book shortly after the Fresh Expressions movement was birthed, Fresh Expressions thinking arose from the 2004 Church of England report, Mission-Shaped Church (Church House, 2004), encouraging the Church to take more risks in mission and to be more flexible in creating ecclesial communities. It recognized that there were many groups and communities in British culture who were not being served because of how church and mission were done. In short, church was to arise from the culture, rather than go out to ‘do’ mission to it. The approach recommended usually started with an incarnational immersion in the culture, going to places where people already gathered rather than expecting them to ‘come to us’. It encouraged deep listening to the culture, to understand its language, rituals and flow. The report highlighted several examples where this was the case, and encouraged regular Christians to take risks in doing the same. It is directly influenced by Donovan in its approach to contextualization, emphasizing a three way conversation between the gospel, the Church, and the culture (p.90–3). Donovan did this, but was clear that in this conversation Christ must be front and centre. ‘Because a missionary comes from another already existing church, that is the image of church he will have in mind, and if his job is to establish a church, that is the church he will establish. I think, rather, the missionary’s job is to preach, not the church, but Christ. If he preaches Christ and the message of Christianity, the church may well result, may well appear, but it might not be the church he had in mind.’ (Christianity Rediscovered, p. 66). Donovan’s insistence that the gospel do the talking, and his willingness to put matters of ecclesial shape in God’s hands demonstrated his trust in God and in the gospel to transform. This convinced evangelical found that example from a Catholic missionary immensely helpful. When I began pioneering on a new-build development near Northampton, this was also the approach I tried to take — walking alongside the culture with the gospel allowing church to emerge. I was more concerned about the gospel being accepted over the form of church. I wanted to form deep, open relationships where questions of faith could be discussed. I wanted the church that emerged to be fully owned and fully contextualized. Granted, my own culture of being a mixed-race middle-class educated Brit was not as far removed from the culture of the people I lived alongside as Donovan’s was to his context, however, my faith background meant that there was still some culture gap between us. Many had no church background, and in this post-Christian culture, a common Christian language could not be assumed. I was keen that God, and not my church culture, would bridge the gap. I hope what we managed to do, like Donovan, was to let the gospel do the talking and shaping. After five years we ended up with network of community activities designed in bringing people together and opening up the space for faith discussion. We had conversations about faith in the pub, in the Indian Restaurant, and during book club meetings. Through these and other activities, church did emerge. It was not what we envisaged when going in and it certainly looked different from the traditional Anglican structure of my denomination. But it was Christ-focused and arose from the culture. You can read more about what I call the cross-shaped approach to pioneering in my forthcoming book, Out of Nothing. Some years later, after returning to the USA, Donovan reflected on the American youth culture, with whom he was now working. As a late middle-aged man who had been overseas for some years, this was also a culture which was not his own. Whilst reflecting upon it, a young person at his university offered him this thought. “In working with young people in America, do not try and call them back to where they were, and do not try and call them to where you are, as beautiful as that place might seem to you. You must have the courage to go with them to a place that neither you or they have seen before.” (‘Preface to the second edition’, Christianity Rediscovered, p.xix). May we in the UK, of what ever denomination, have the ecclesial courage to engage with our culture in a way that results in us walking alongside people, guided by the Spirit of God, to a place that neither they nor we could have imagined. Currently a tutor teaching pioneering principals at Cranmer Hall Durham, Andrew Dunlop will soon take up a new role as Tutor in Context-based Training at Ridley Hall, Cambridge. Andrew Dunlop’s book Out of Nothing: A Cross-Shaped Approach to Fresh Expressions is published next month. We’ll explore the book further in a future blog post. Don’t forget, to celebrate the book’s 40th anniversary you can buy a copy of Christianity Rediscovered at a special discount price via our website. In Poperinge, Belgium, a young man aged 16 stands in a Chapel used by soldiers during WW1, about 100 years after that conflict began. He is surrounded by about 45 of his peers, part of a group studying that war to end all wars. He starts to speak ‘My favourite part of the gospel is…’ I hold my breath. What will he say? Now in front of all of them, this ordinary young man, claims to have a favourite part of the gospel. What will it be? Let me tell you that the first part of my remembered bible, that is to say the bible in me, not a written down one but an oral one, is of the Ascension of Jesus, on a hill in Galilee where he has called the disciples together and he tells them ‘Go and baptise everyone’. It’s also the first part of my remembered Vincent Donovan. When I first thought to write this piece I went to look for my copy of ‘Rediscovering Christianity’ and in the mess that passes for my office could not of course locate it. 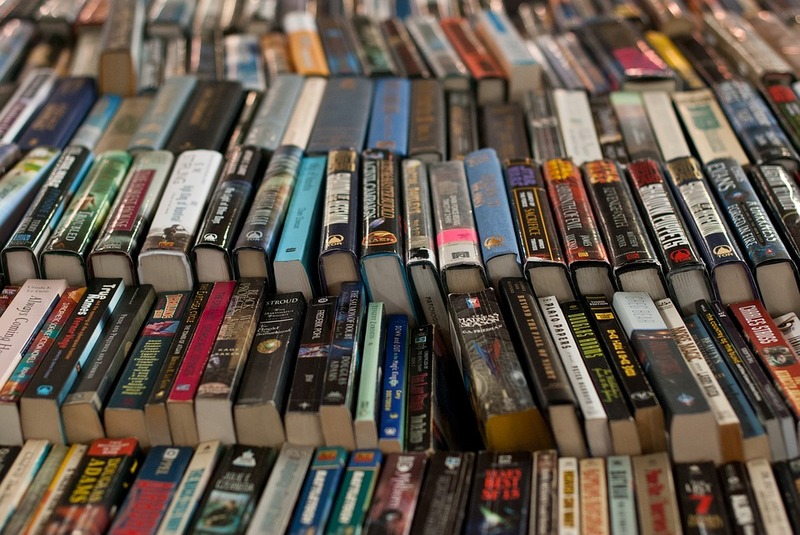 That’s when I had to return to my remembered version of the book that is now 40 years old. So just as I usually use a remembered bible so I’m using my remembered version of that text as I reflect on its meaning for me and the ministry I practice. A remembered, oral, bible and a remembered, oral, Donovan, which given his context and mine seems very fitting. Donovan worked with oral people and so have I.
I go straight away to that part of Donovan’s narrative, where having decided to tell the gospel story to local villagers over several visits, he returns one day to ask if they have decided on baptism. ‘Yes we have’, the leader of the village confirms: ‘Baptise all of us’. At that Vincent seems to hesitate. He begins to find challenges in their response. He points out that this one did not attend all the sessions and this other fell asleep, this one is too young, this one did not understand. The leader interrupts him: ‘Baptise all of us’ he repeats. And so Donovan does. This is for me both the core of the gospel and the core of my remembered Donovan, and has informed the twenty or so years of my ordained ministry. For five years I worked on a housing estate in Sheffield. Many folks of all ages came to the community project that the local United Reformed Church ran there everyday: lunch clubs, after school clubs, adult education, mentoring support for young people excluded from school, sessions about health and well being, craft sessions, toddler group, and worship. Some of those people began to ask about baptism, both adults asking for their children and young people asking for themselves. ‘Can I be baptised?’ Well we have water and you’ve heard the story so the answer is of course, ‘Yes’. About eight years ago I moved to be chaplain of a school in West Yorkshire that was affiliated to the United Reformed Church. There are few such schools in the country, each springing from an age when providing education for the children of ministers and missionaries seemed the right thing for our forebears to do. Dissent was significant in Yorkshire but of course has dwindled in our day. So this small outpost was the last remaining sign that children and young people could be introduced to the radical nature of the gospel on a daily basis. I took with me the remembered bible and we have practised it together for eight years. I also took my remembered Donovan, mindful of his description of an isolated mission that failed to touch the lives of ordinary people. The school became involved with a community development project in Tanzania, the Livingstone Trust, and by their own efforts several groups of students have transformed rural schools there, and learnt about community development in the process. It seems to me that it we can equip young people to face such challenges in the twenty first century then we are not irrelevant. And then there were the requests for baptism. Sometimes parents would ask for their infants. But sometimes young people and even adults would ask for themselves. We have a swimming pool at school and those who could stand up in it were baptised there – one child was baptised just before he had surgery to correct a congenital heart defect, making sure he could stand on tip toe in the shallow end so as not to miss out on this special experience. One of the most moving was my middle aged colleague who said ‘This is not a testimony’ and then proceeded to tell us how his faith and love had grown over the 25 years of his life in the school. In the second of our series of reflections on the legacy of Vincent Donovan’s Christianity Rediscovered, Al Barrett, Vicar of Hodge Hill, rereads the book 20 years after he first encountered it. With Donovan, I realised I was a searcher. My own journey, that had thus far taken me to Cambridge and then to Salford, was a journey of searching for God with those around me – needed companions on the way. And yet I was also reminded, as Donovan was by his Masai teachers, that God always beats us to it: “We have not searched for him. … He has searched us out and found us. All the time we think we are the lion. In the end, the lion is God.” (p.51) The ‘small’ and ‘mysterious’ part of the messenger is simply to point to the one who has already found us, who was here and at work long before I got here. If Christianity Rediscovered helped me make some sense of ‘mission’, it also profoundly enlarged my understanding of eucharist. As Donovan described in detail ‘the simple celebration’ of the Masai village ‘returning their whole life to God’ (p.97), I got a taste of eucharistic possibility which, even now, 20 years on, still teases, beckons. It was a strange kind of Mass. No church building, not even any special, fixed spot where it took place. As a matter of fact it moved around all over the village. It started in the spot where several elders had lighted a fire from two sticks of wood, even before I arrived. An important act, on my part, before I entered the village, was to stoop down, scoop up a handful of grass, and present it to the first elders who greeted me. Grass was … a vital and a holy sign to [the Masai], a sign of peace and happiness and well-being. And if the life in the village had been less than human or holy, then there was no Mass. If there had been selfishness and forgetfulness and hatefulness and lack of forgiveness in the work that had been done, in the life that had been led here, let them not make a sacrilege out of it by calling it the Body of Christ. And the leaders did decide occasionally that, despite the prayers and readings and discussions, if the grass had stopped, if someone, or some group, in the village had refused to accept the grass as the sign of the peace of Christ, there would be no eucharist at this time. What a thought: that there might be no Mass in the village today, if the process of passing peace, of making eucharist, had been ruptured along the way. That there might be no true celebration of eucharist, until no one in the world goes hungry – as Sri Lankan Roman Catholic theologian Tissa Balasuriya once proposed. This intertwining of eucharist, community and justice has stuck with me since then – and remains a profound challenge. 20 years on – 40 years after Christianity Rediscovered was first published – I find myself vicar of a large, multicultural ‘outer estate’ parish, Hodge Hill, on the eastern edge of Birmingham, deeply embedded in my neighbourhood and, with friends and neighbours, in a joyful journey of community-building here. Donovan’s vibrant sense of the missio dei – that ‘[g]oodness and kindness and holiness and grace and divine presence and creating power and salvation were here before I got here’ (p.52) – remains a theological fundamental for me. His description of that mission as the establishing of ‘shalom’ – ‘peace, integrity, community, harmony, and justice’ (p.156) – is also still central to my theological lexicon, and I can witness, with deep gratitude, to the many and varied ways I have seen and continue to see that ‘shalom’ springing up, and putting down roots, and spreading, around me and in spite of me in the neighbourhood I have called home for the last eight years. It’s an exciting journey, with my neighbours here in Hodge Hill – one that demands the kind of ‘courage’ once urged on Donovan by a young American student: “to go with them to a place that neither you nor they have ever been before” (p. xix). And re-reading Christianity Rediscovered in 2018 I find myself wondering, how might eucharist – deep, peace-making eucharist that catches up the entirety of our shared life and offers it in gratitude back to God – truly ‘take flesh’ in my neighbourhood? How might it work its way, house-to-house, neighbour-to-neighbour, group-to-group, around our estate – what, locally, we’re beginning to call ‘Firs and Bromford village’? In Jesus’ day, everyone lived in a walkable community… but the problem was, who got excluded from that life? And so for us, it’s a huge question: have we even lost the very foundation from which we can become people who include those who are without place? If we’ve lost the very ground, the very place … from which we can invite others in, from which we can become hospitable, from which we can include? From the not-so-new parish of Hodge Hill, I might put the question like this: in our divided, fragmented, indifferent society, how much community-building work is needed before the ‘good news’ of the gospel makes any sense at all? Paul Sparks was speaking at an exploration of ‘Parish, a gift for the future?’, organised by Church of England – Birmingham and ForMission college. Has Christianity Rediscovered had an impact on your work and thinking? Join the conversation on Twitter, using the hashtag #ChristianityRediscovered. Buy a copy of the book on our website at the special offer price of £10. Since its publication 40 years ago, Vincent Donovan’s seminal Christianity Rediscovered has reshaped our understanding of what we mean by mission. To mark 40 years since it was first published, today we’re embarking on a new blog series ‘Christianity Rediscovered and Me’. Each contributor will reflect on how the book has shaped how they view their own mission and ministry. As the series continues, feel free to offer your own thoughts on the book via the comments section – and join the conversation on Twitter with the hashtag #ChristianityRediscovered . We start with a reflection from Tom Wilson, Director of the St Philips Centre , an interfaith centre in Leicester. I own a twenty-fifth anniversary edition of Vincent Donovan’s classic Christianity Rediscovered. My memory is that I bought it to help me think through the distinction between authentic Christian faith and the cultural trappings and personal preferences that we add on to our faith. At the time I bought it, I had two reasons for wanting to make this distinction. First, I was a curate in Toxteth, Liverpool. I really enjoyed the five years I spent in this role, and I learnt a huge amount. Many of the models and modes of discipleship I had been taught over the years were completely useless in this particular context. How would you explain the Christian faith to a woman in her fifties who could neither read nor tell the time and whose life was somewhat chaotic, to put it mildly? The standard middle class evangelical “let’s schedule a mutually convenient time in our diaries for a one-to-one Bible study” was really not going to work here. In all honesty I did not do a particularly good job with her, but I learnt a lot about what I assumed was Christianity and what are the essential, irreducible aspects of Christian faith. My second reason for buying Christianity Rediscovered was that during this period of my life I also led a number of visits to Kumi Diocese in Uganda. In all, between 2004 and 2010, I participated in nine visits to the Diocese, working in partnership with the Archdeacon for mission, helping him run training conferences for clergy, several youth camps, a number of missions and a Diocesan conference with over five thousand in attendance. Anglican Christianity in Kumi Diocese was both familiar and strange. Some of their worship was very shaped by the Book of Common Prayer Holy Communion service, while at other times it involved exuberant singing and impressively long sermons. I vividly remember one of my teammates having her ever first go at preaching at an informal fellowship gathering. Speaking with the aid of a translator, she managed to talk for about ten or fifteen minutes. Her translator asked if she had finished, and when she indicated she had, requested permission to summarize. She gladly consented, and sat down with relief. He then took a further hour to reiterate and reinforce what she said. What is the essence of Christian faith? These incidents, and many others like them, forced me to think very carefully about my way of following the Way, how I learn from Jesus and how much of that is just about me and how much of it is essential to being a faithful follower of Jesus Christ. All of this thinking has proved a valuable foundation for the past decade spent in different types of inter-faith and inter-cultural exchange. Often conversations with those of other faiths force me to think very carefully about what are the essential aspects of Christianity and about what are cultural trappings. What makes Christianity distinct, what is unique about my faith? When I engage in inter-faith work, I am sometimes asked questions I have never thought about before. One of the more striking ones came in casual conversation with a member of the Hare Krishna branch of Hinduism while we were queuing for lunch in their mandir (temple). He explained that from his perspective, Hare Krishnas have found the fastest route to enlightenment and full relationship with the divine. As a Christian, he told me, I might make some progress, “but it’s like we’re in the high speed elevator to the top and you’re taking the stairs.” Then he added something to the effect that, “and I don’t see how you can make much spiritual progress if you eat meat. After all, how can anyone who benefits from killing become more like God?” It is an interesting question to ponder. It made me re-read the opening chapters of Genesis and consider whether actually God commends a vegetarian lifestyle to Adam and Eve, and that our current carnivorous habit is another indication of the fall. Within Judaism, the seven Noahide laws (that is, the commands given to Noah that Judaism teaches are incumbent on all humanity, see https://www.myjewishlearning.com/article/the-noahide-laws/) include two relevant commands: do not participate in bloodshed and do not eat flesh from a living animal. These could commend vegetarianism, although many rabbis interpret them as indicating the importance of ritual slaughter of animals. This exchange with a devout Hindu forced me to ask, is eating meat inimical to Christianity? Jesus certainly declared all foods clean, and Peter is commanded in Acts 10 to eat food that Judaism would consider unclean. So perhaps as a Christian I can eat whatever I like. But does that mean, as a Christian, I should eat whatever I like? Possession of freedom to eat what I want is different from exercising freedom to eat what I want, as Paul argues in Romans 14 and 1 Corinthians 8. Any food at inter-faith activities I organize would satisfy most who have religious scruples about diet; it is always vegetarian, and we avoid onions, garlic and other foods that more devout Hindus would not eat. Reflecting on this question as a Christian has led me to conclude that living lightly on the earth by reducing consumption of meat (as I have done) or becoming fully vegetarian (as I cannot quite bring myself to) may arguably be a better way of stewarding creation as we are commanded to in Genesis 1:28-30. One distinction between my area of work and that described in Christianity Rediscovered is that I am not trying to persuade people to leave their own faith community and adopt Christian faith. Sometimes it can be helpful to begin an inter-faith discussion by using the categories of one faith community to explain the activities of another. But such comparisons are always inadequate and can generate more misunderstanding than understanding. Thus, for example, the festival of Eid really is not the Muslim Christmas. Granted, Eid al-Fitr does come at the end of the fasting month of Ramadan, just as Christmas comes at the end of the Christian period of penitence and fasting known as Advent. The problem is, of course, that it is quite hard to find a Western Christian whose behaviour during December is that of someone engaged in fasting and penitence. The fact that Muslims exchange presents at Eid al-Fitr does have an equivalent in the giving of Christmas presents, but since the giving of presents is not an essential Christian part of the celebration this does not really work. Most people in Britain, including some Muslims, give presents to each other on December 25th, but only Christians also go to Church to celebrate the incarnation of the Son of God. So, for those engaged in inter-faith dialogue and discussion, the distinction Christianity Rediscovered makes between the essence and the periphery of Christianity can be helpful when trying to explain one’s own faith to those who do not understand it (chocolate Easter eggs have nothing to do with the resurrection of Jesus Christ, after all). But the fundamental purpose of distinguishing the essence from the periphery is very different. Donovan sought to translate Christianity into a language his audience could speak; I am trying to translate it into a language my audience can understand. I am grateful for the pioneering work of Christianity Rediscovered and do still recommend it to Christians who come on our training courses and want to learn how to explain the essence of their faith. There is, of course, nothing wrong in proclaiming faith in Jesus Christ but one of the other lessons that Vincent Donovan is keen we learn is that our proclamation must be heard as a genuine free offer, with no power imbalance or hint of coercion or manipulation. When in church on a Sunday morning, I strive to preach Christ crucified as the way to relationship to the Father. But when I sit down with my friends of other faiths my intention is to learn and grow in my understanding of what they, and I believe. As Christianity Rediscovered reminds us, a self-reflexive understanding of context and intention are everything when it comes to building and maintaining relationships. To celebrate its 40th anniversary, Christianity Rediscovered is available via our website at a special discount price of £10. In 1917, Henry Emerson Fosdick, the American pastor served as an army chaplain in France. That year, he wrote The Challenge of the Present Crisis, amongst other things a defence of Christianity in an age when significant questions were being asked about whether the mass slaughter of the Great War was a failure of the faith. The book was published in 1917 by SCM Press in the UK. Here’s an extract. “Even a little observation of popular reactions to the Great War reveals many men inwardly looking at the catastrophe in unrelieved dismay. It means to them despair, not challenge. One of the most important battles of this generation is being fought behind closed doors, where men are making up their minds whether this war is to leave them social pessimists or not. While many voices, therefore, are speaking of the significance of the War for political, diplomatic, financial, and military interests, something more ought to be said about the meaning of the War to our personal attitude and faith. All constructive agencies after the war is over will depend for their success upon the vision and energy of those who have not been driven by the present catastrophe into cynicism. That many are becoming cynical, are growing dubious of social possibilities, are surrendering to practical scepticism the faith which they never would have surrendered to speculative doubt, is clear ti anyone who talks much with men. Materialism as a theory never would have convinced them. 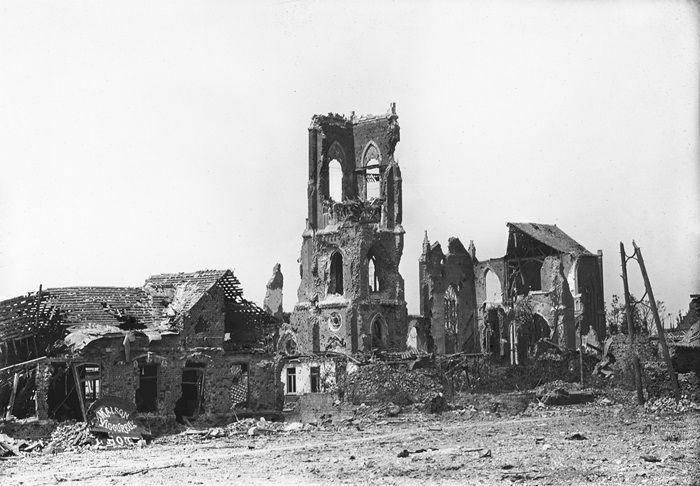 But the horrors of Verdun, the mutilated bodies of Belgian boys, the bleaching bones of countless children left b the Russian retreat along the military roads of Poland, and after, sixty generations of Christian opportunity, some five million wounded men in the hospitals of Europe-how shall we keep heart in the face of this? [But] if for this reason Christianity is a failure, so too is education. War may be wicked from the standpoint of religion but just as surely is it foolish from the standpoint of intelligence, and the universities of Europe and America have been established long enough to have taught man before this the futility of war. If Christianity is a failure because it has not prevented the present disaster, so too is commerce. The economic bonds are torn asunder; they have proved to be causes of strife, not barriers against it. If anything is a failure, surely that social idealism is, on which we have been priding ourselves these recent decades past…all of us had counted on the international socialist brotherhood, uniting so many million workmen of so many nations in a league pledged explicitly and absolutely against war. Great confidence for the future was begotten when in Berlin’s public square 100,000 Socialists at the time of the Agadir incident lifted their hands unanimously against war with France. And yet, in spite of brave attempts, the voice of the Socialists against this cataclysm has been pitiably weak. Christianity a failure? Then surely international law is. The international conventions, guaranteeing the neutrality of Belgium, had expended on them the best brains that statesmanship could supply, but they are scraps of paper now. Written a year later in 1918, in large part from within the trenches, Studdert Kennedy’s The Hardest Part wrestles in a similar way with how to reconcile the horror of the front line with a Christianity which speaks of a God of love. The book has just been re-published in a new critical edition. More information here. On the final page of his book Alive At Work: The Neuroscience of Helping Your People Love What They Do (2018) Professor Dan Cable of the London Business School writes: ‘leaders have duties that are similar to religious figures. This is because they have such a direct effect on the purpose that people feel about their work and their lives’ (p 173). Religion has not played a part in his analysis of organizational leadership up to this point and this is a tantalising idea to trail as a conclusion. What religious figures does he have in mind – priests or shamans? Faith healers or witch doctors? Local imams or mega-church pastors? The range of people that could fall into the category of ‘religious figures’ is vast. And those who work in such places as churches, departments of theology and religious studies, organizations which are faith-based or faith-linked will be aware that people of faith are no more or less ‘magicians’ when it comes to organizational leadership than those of no faith. So what is Cable driving at here? The point he seems to be underscoring is that a vital aspect in leadership is providing people with purpose and this is what religious figures and religions provide their followers. In addition, it is clear from Cable’s approach that narrative and story are fundamental to this process. Thus, he observes, the stories ‘we generate and tell ourselves can have huge effects on our behaviors and the results we create’ (p 161). The place of story in Christianity and other faiths has long been recognised, such that it is often taken for granted. Narrative has come to prominence more recently in the world of organization studies as academics and practitioners seek to understand what role human storytelling and story-sharing play in providing meaning and purpose in our manifold social activities. This is a much more fertile area for interaction between church and leadership, than some of the stale ideas culled from older scientific management methods. 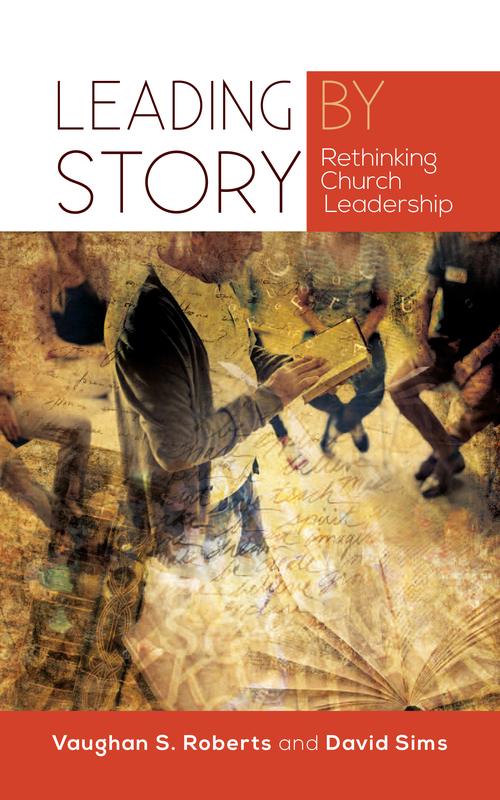 In Leading by Story: Rethinking Church Leadership (SCM Press, 2017) David Sims and I have sought to map out some of this recent thinking about organizational narrative and explore how it applies to churches. We have examined how viewing people as both storytellers and stories themselves has a great deal to offer in understanding both how our churches work and how our churches are being led. We analyse in detail some of the different types of story that churches tell – interpretive narratives, Identity narrative and improvised narratives. Then, in our conclusion we share ten ideas for developing a storied understanding of ourselves and churches. Know your story – who you are, how it is that you are where you are and serving in your present role. Know the story of Christianity – how do you understand the story of Jesus’ life and ministry? And the story of the early church? And how do you relate to those who tell a different story? Know the story of your Church – although the future of denominations is open to debate, we’ll not be able to work out where we’re going to if we do not know the story of where we have come from. Know the story of your church – stories we tell about the local churches that we serve will be shaped by big and small stories alike. Listen to the stories told about the past – which reveal a church’s self-identity and some of the different self-perceptions that are in play. Listen to the stories being told in the present – these may compliment and/or contradict each other and be a source of communal cohesion or division. Listen to stories of the future – these will reveal hopes and aspirations, some of which will be more practical than others. Use traditional opportunities to tell the story of what is happening – church council meetings and AGMs; church magazine and noticesheets; local newspapers, personal contacts and more. Encourage others to share in the narrative – trust others with the sensemaking and storysharing. We all like to tell stories of what is happening and nothing spreads like a good story. Here we are using sensemaking in a way that is similar to Cable’s use of purpose. It’s important to keep in mind we’re not arguing that sensemaking and purpose, along with story and narrative are some kind of philosopher’s stone for leadership in churches and other organizations. In other words, understanding the place of storytelling doesn’t automatically turn leadership into gold (to paraphrase George Herbert.) But having a perception of how such things work not only helps enormously in leading organizations and churches but also greatly assists in the theological reflection which underpins the action of Christ’s Body in the world.